The unfinished basement in a Maplewood plan has an expansive space under the kitchen and family room that could be finished in countless ways. 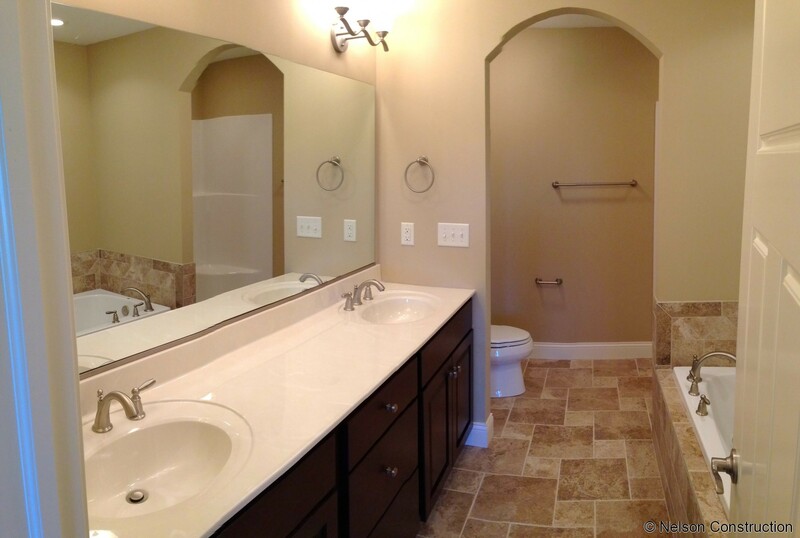 The master bathroom features double sinks, a jetted whirlpool tub, and a separate shower and toilet behind the archway. The master bedroom of this Maplewood plan features a tray ceiling accented with crown moulding. 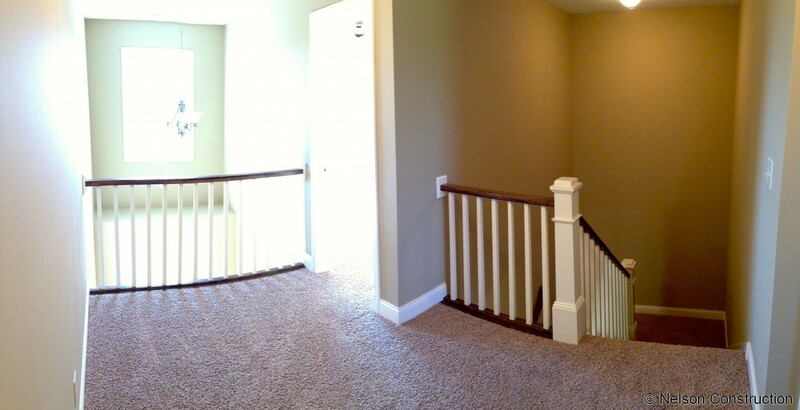 The upstairs landing is full of natural light from the foyer window and is a great place for a homework station. 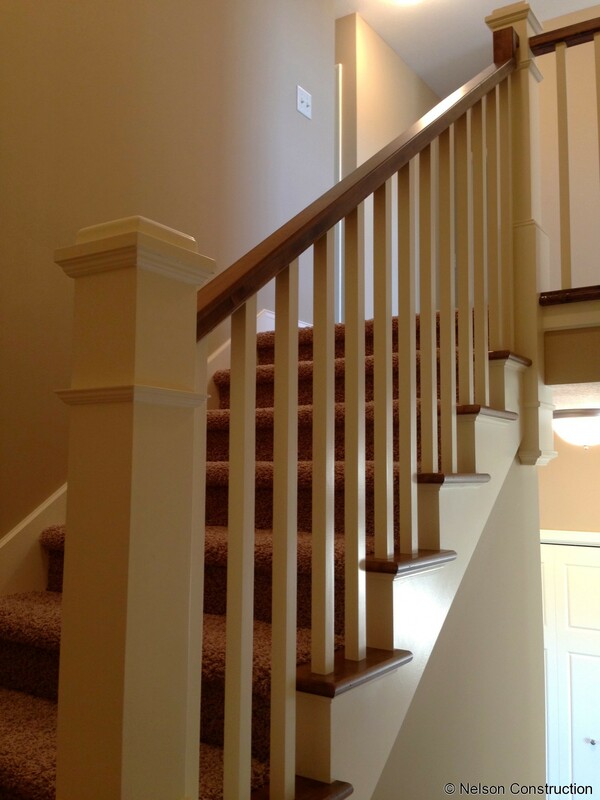 The staircase of this Maplewood plan features painted balusters and stained treads to match the stained railing. 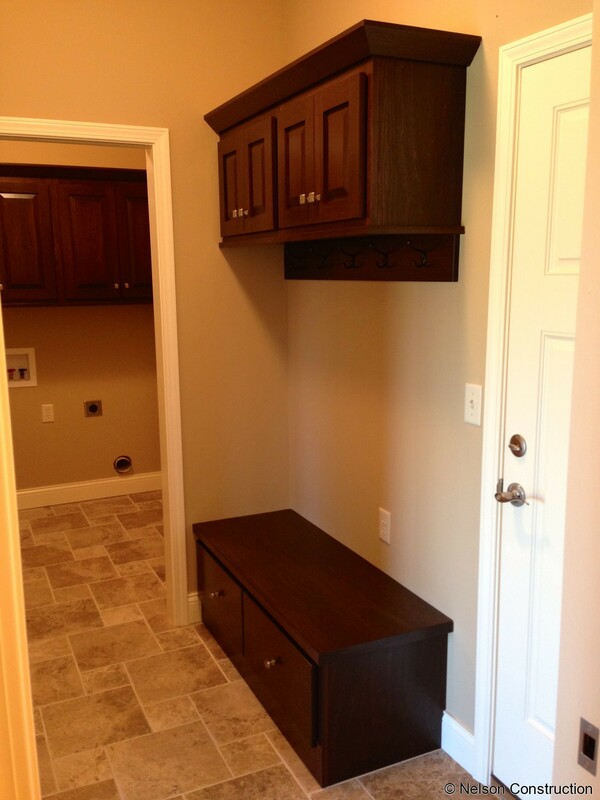 The drop zone between the kitchen, garage, and laundry room features built in cubbies for storage and hooks for hanging coats. 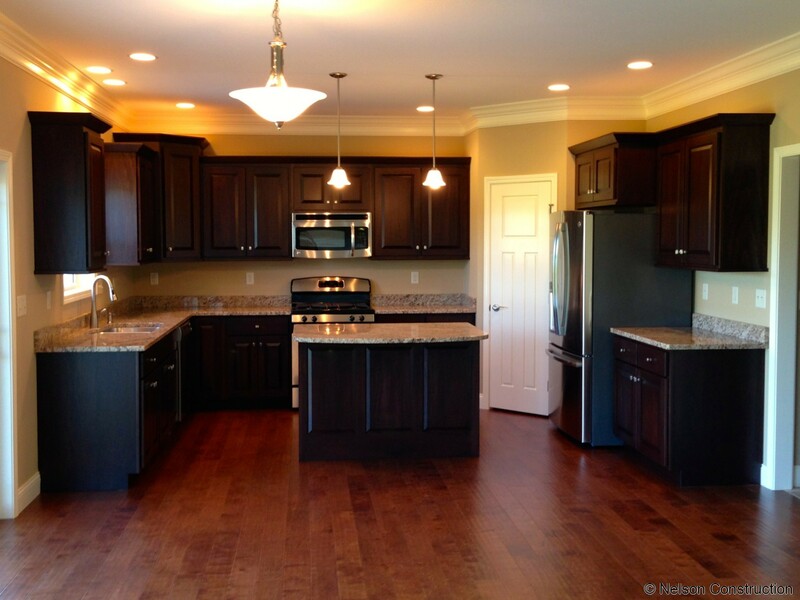 The kitchen features stained cabinets with granite countertops and stainless appliances. The dark cabinets are set off by the wood floor and crown moulding. 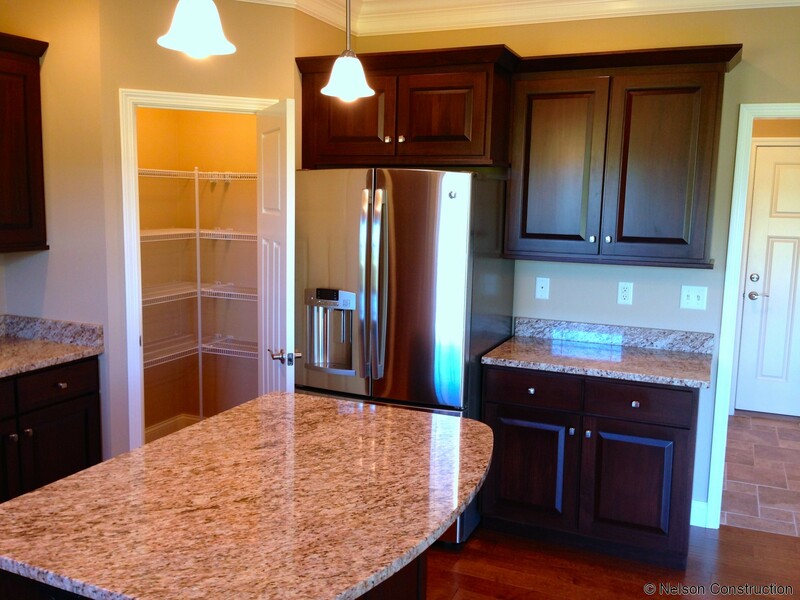 The kitchen features stained cabinets with granite countertops and stainless appliances. A large pantry is conveniently located in the corner. 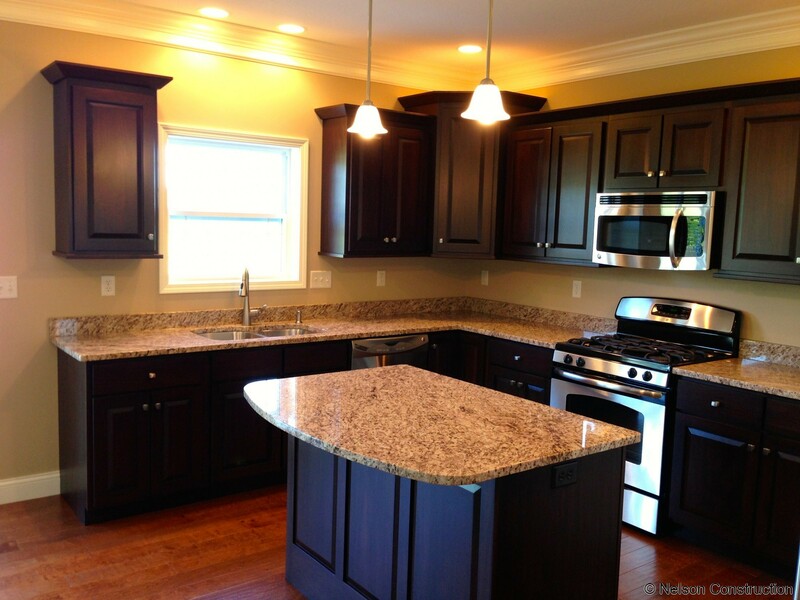 The kitchen features stained cabinets with granite countertops. 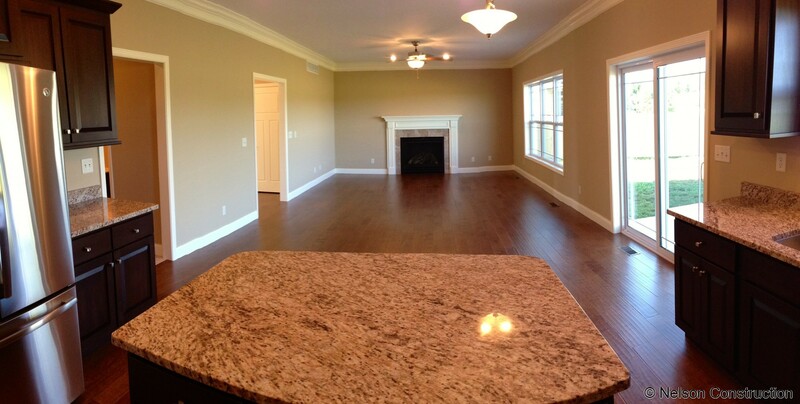 The open family room is highlighted by a fireplace with painted surround. 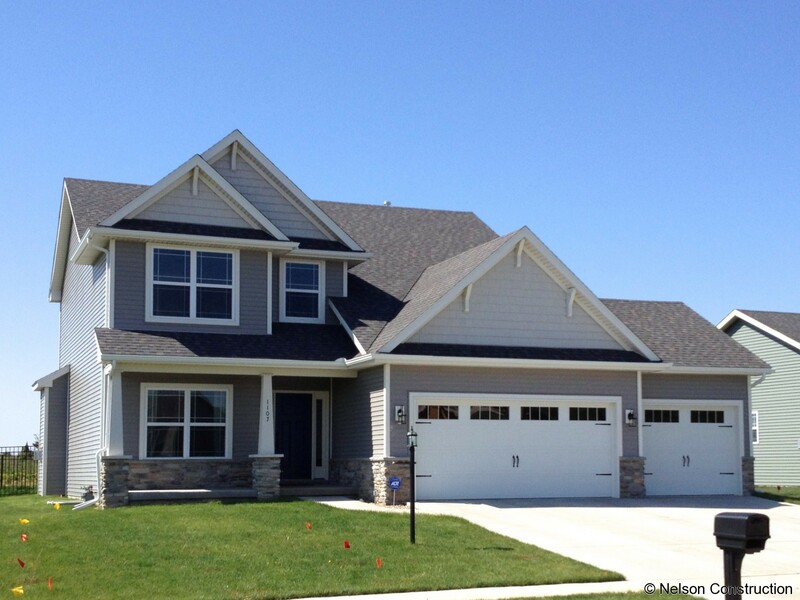 Exterior of 2-story home with stone veneer and vinyl siding. 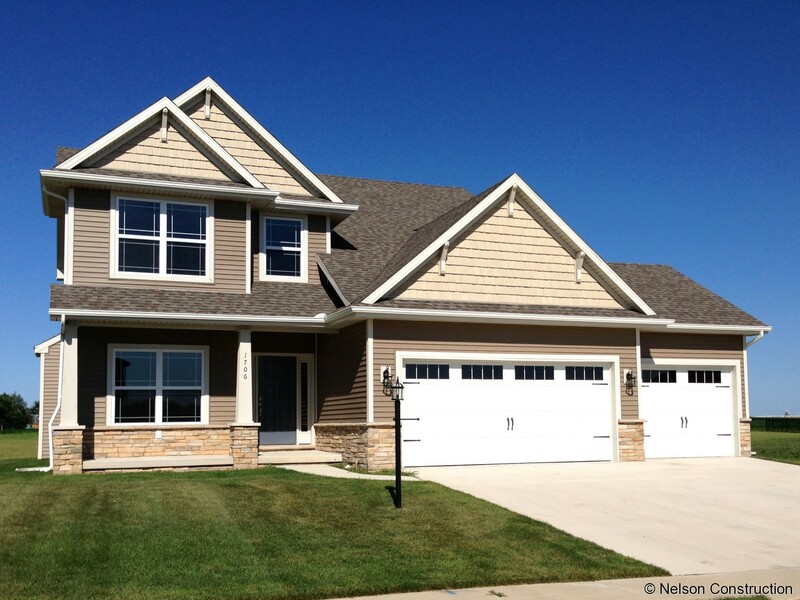 As you enter this home you are greeted by the open two story foyer with elegant stairway and hallway above looking down. The kitchen features a center island, eat-in dinette, and pantry closet all of which is open to the adjacent family room. The convenient dining room with its tray ceiling, decorative crown moulding, and chair rail can host those large holiday gatherings. The important drop zone from the garage to house is lined with cubbies. The large master suite features a bedroom with a vaulted ceiling and bath with double vanities, whirlpool, separate shower, and abundant closet. All this plus an unfinished basement with future bath rough-in and a three car garage.